New York Times Bestselling author, Tricia O’Malley, lives in Milwaukee with her much doted-upon dogs, Briggs and Blue. On a typical day you will find her lost in the worlds of her making or daydreaming about her next trip. Tricia loves fun vacation reads, hates wimpy characters, and hosts a serious addiction to traveling the world. 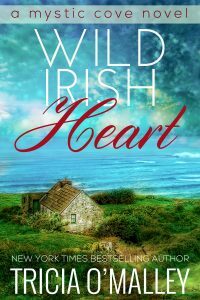 She finds inspiration on the go – and you’ll often find her books set in beautiful settings with characters tangled in affairs of the heart…or murder.